The first new version was actually a revision in early 1996, produced in response to complaints that PlayStations were overheating. Sony did not change the technical aspects or the cosmetics, but did remove the S-video port left over from the Japanese release. 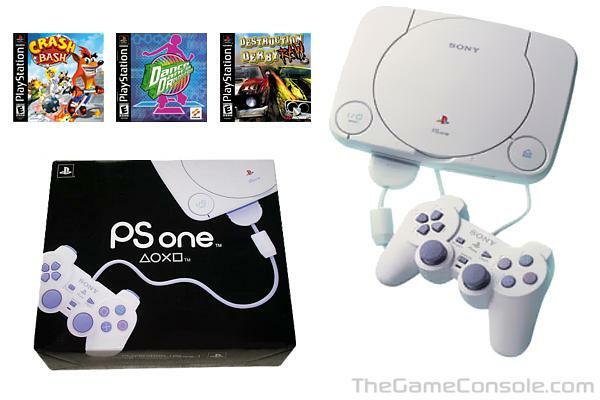 Sony produced a redesigned version of the original console, called the "PSone", in a smaller (and more ergonomic) case which was introduced in September 2000. The original PlayStation was abbreviated in Japan to "PS" and was often abbreviated as "PSX" by American gamers, as this was Sony's internal code name for the system while it was under development. This led to some confusion in 2003, when Sony introduced a PS2-derived system in Japan actually called the PSX. The PlayStation is now officially abbreviated as the "PS1" or "PSone," although many people still abbreviate it "PS" or "PSX". There were only 2 differences between the "PSone" and the original, the first one being cosmetic change to the console, and the second one was the home menu's Graphical User Interface.